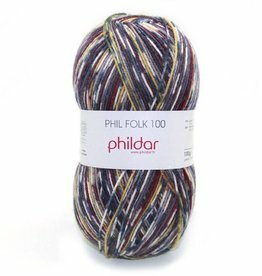 The Phildar brand has been refining their yarns for over 100 years (founded in 1903). This French heritage brand is something of an institution and is known for quality, elegance, sophistication, and style. 28 stitches x 38 rows = 4"